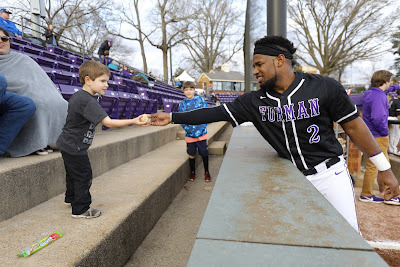 Furman baseball gets needed win "for Deon"
Ten days into any sports season is really too early for any "must win" situations, especially in baseball. But after a tumultuous start to the 2019 season thanks to inconsistency, injuries and just plain lousy weather, Furman really needed a win Monday for more than obvious reasons. Monday's starter, David Dunlavey, served up that needed "W" in style. Dunlavey became the first Paladin since Will Gaddis to tally 10 strikeouts in a game as Furman handed Gardner-Webb its first loss of the season, 7-2, at Latham Stadium. 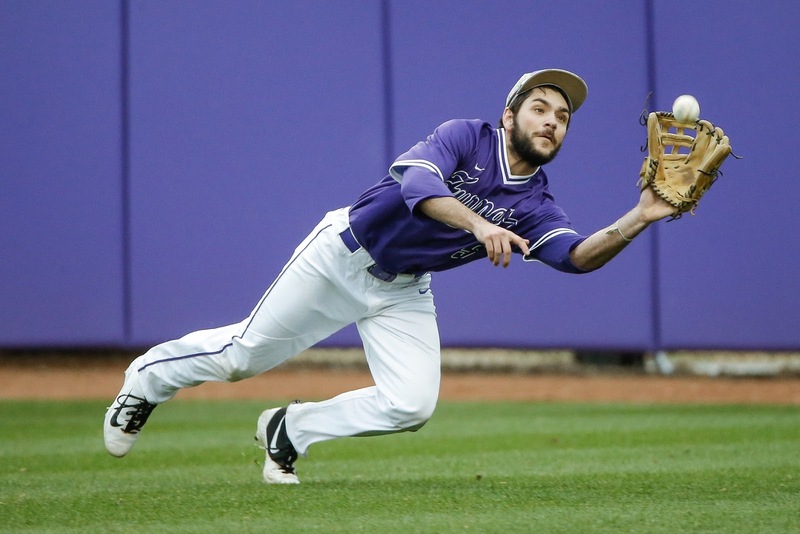 After losing starting third baseman Jake Crawford to injury well before the season, Furman recently lost starting leftfielder Jabari Richards for up to six weeks with an injury. Monday's lineup featured starting catcher Dax Roper limited to designated hitter duties due to a knee injury that forced him to leave Sunday's game and starting DH Trent Alley out with a nagging injury. Before Monday's game, the latest blow came when first baseman Deon Sanders suffered a horrific knee injury during pregame infield drills. Sanders has hit some majestic home runs during his Paladin career despite being limited by injuries and splitting time with football where he played running back. He battled his way back from a torn knee in the football preseason of 2016, to play both sports again. Sanders recently wrapped up his last season of football this past fall to concentrate on his first full spring with the baseball team this year. "That's one of the most complete games I've seen out of our ball club in awhile." While the win improved Furman to 2-3 this season, Monday marked the first time the Paladins left the ballpark coming off a win. The other victory came in the first game of a doubleheader against Morehead State last Saturday. Like Sanders, Dunlavey knows all about coming back from a serious injury. The Spartanburg native was expected to challenge for a starting spot in the weekend rotation last year after transferring in from USC Lancaster. That changed after a torn UCL in the fall of 2017 led to him sitting out last season as he recovered from Tommy John surgery. After his own error proved costly in a loss in his Paladin debut last Saturday, Dunlavey (1-1) enjoyed greater command Monday. He allowed two runs - on a pair of solo home runs - on four hits in six innings, to go along with two walks and 10 strikeouts. The last time a Furman pitcher fanned 10 batter came in 2017 by Gaddis against Mercer. "That's what we were looking forward to seeing last season before his injury," Harker said. "He's technically a redshirt junior, so you think he's experienced, but he's really not - especially in this stadium with this uniform on. To see him have that type of game in just his second game kind of lets you know how special he can be." With fellow weekend starter Matt Lazzaro available out of the bullpen, it wasn't clear if Dunlavey would start the sixth. But in a 2-2 game, Harker sent Dunlavey back out there and he delivered a 1-2-3 inning with a pair of strikeouts to end it. Furman's offense then put Dunlavey in position for the win. After Sterling Turmon led off the bottom of the sixth with a walk, there were two quick outs before Jordan Starkes singled. Banks Griffith followed with a roped double to left-center to score Turmon and Starkes. Roper provided some cushion when he crushed a pitch down the left field line for a two-run homer. Logan Taplett provided more breathing room in the seventh when he led off with his first career homer. That was more than enough for Lazzaro and Rob Hughes out of the bullpen. The last 14 Gardner-Webb batters were retired to end the game, as Lazzaro struck out two in two perfect innings and Hughes had one strikeout in a perfect ninth. That pitching wrapped the game up in a tidy two hours and 15 minutes. "As a pitching guy, that's my kinda game right there," Harker said. "They all really threw the ball well." Roper had three of Furman's 12 hits, while Griffith went 2-for-5 and Bret Huebner was 2-for-4. In his Furman debut, Turmon - a former St. Joseph's and Eastside High standout who transferred from Spartanburg Methodist - went 2-for-3. "What a huge day for (Turmon)," Harker said. "You don't know in life how many times you're going to get that opportunity (to start), and boy did he make the most of it." Furman returns to action Wednesday, hosting UNC Asheville at 6 p.m.
An unofficial end to a wet, chilly month of Furman spring football practice was held on a wet, chilly day at Paladin Stadium Saturday afternoon. After going through typical practice sessions for a little more than an hour, the annual Purple-White scrimmage was a good bit shorter than in past years. 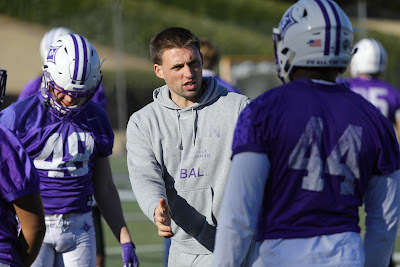 Furman coach Clay Hendrix said the scrimmage was limited because he didn't want the team to go through a whole lot of tackling on the next-to-last practice of the spring. Spring practice officially wraps up with a two-hour practice session Tuesday morning at Paladin Stadium. The Paladins looked sharp during Saturday's scrimmage, especially for a spring practice. There were no turnovers offensively and seemingly no blown reads on either side of the ball. "It's been a really productive spring," Hendrix said following Saturday's scrimmage. "We'll wrap up Tuesday, have some individual meetings with coaches and this time next week the players will be on spring break. "When we come back, it's all about getting bigger, faster and stronger. We've got some good bodies and recruited well." Spring practice has offered the first bit of competition to replace graduated starting quarterback Harris Roberts. Redshirt freshmen Darren Grainger and Hamp Sisson are battling for the job, while sophomore Jack Hardin has gotten many reps as well. During Saturday's scrimmage, Hardin made the most of his chances going 4-for-4 for 55 yards. He also made the prettiest throw of the day on a rainbow toss to Thomas Gordon for a 33-yard touchdown off play action. Sisson was 4-of-6 passing for 46 yards, while Grainger was 3-of-7 for 32 yards. "I thought they both had a pretty good day, which is how it's kind of been every day," Hendrix said. "There's been a few growing pains like you'd expect, but they're at where they started (in the competition). They both have made significant progress. "It's about like I thought it'd be. I would've been surprised if anybody distanced themselves from each other, based on spring practice." Hendrix said Hardin's progressed nicely since suffering a torn labrum in last year's spring scrimmage. "We feel good about all those guys. There's just a lot of work to be done between now and when we start practice again," Hendrix said. "That will be the key for them - the progress we make going forward. "These quarterbacks, receivers and defensive backs have got to continue throwing and catching and we can't be out there with them. I think Darren, Hamp and Jack are prepared to lead that group in the offseason stuff. I'd be shocked if that's not the case." Gordon led the receivers Saturday with four catches for 61 yards, while Dejuan Bell had three receptions for 34 yards. Also offensively, Corey Watkins ran three times for 12 yards, including a four-yard touchdown, while Devin Wynn had 11 yards on three carries. On a miserable day to kick, All-SoCon kicker Grayson Atkins was in midseason form. After hitting a 43-yard field goal, Atkins was wide left on one 53-yard attempt before connecting on his next attempt from 53 yards out. Atkins later had a 32-yard attempt bounce off the upright no good before making his final kick from 23 yards out. What could prove to be just as beneficial as to what was going on between the hash marks Saturday, was what was going on along the sidelines. That's where a large group of young high school players got a first-hand look at how Furman football operates as they made Junior Day visits. "We had an unbelievable crowd - well over 300 prospects here," Hendrix said. "We're excited about that part of the offseason where you're recruiting juniors." One of the big parts of Furman's six-game winning streak entering Saturday was consistency. Any subpar play by the Paladins seemingly lasted no more than one or two minutes during the streak. Then Wofford came to town. The Terriers turned an early five-point deficit midway through the first half into a double-digit lead by halftime and went on to a 72-64 win in perhaps the biggest game Timmons Arena has ever hosted. Fletcher Magee scored 23 points and hit some big shots in the second half to help spoil Furman's Senior Day. "They played very well, very physical and Fletcher did what Fletcher does. He made big shots in critical situations," Furman coach Bob Richey said. "The most important thing is we've got to be able to respond to this. Hopefully this wasn't the most important game of the year. It's going to hurt today, but we've got to get off the mat. We've got a lot left to play for." In recording its first win in Greenville since 2015, Wofford (24-4, 16-0 Southern Conference) extended its school-record winning streak to 16 games. The Paladins (22-6, 11-5) remain in fourth place in the SoCon with one week left in the regular season. Furman is one game back of ETSU and one-and-a-half back of UNCG. If UNCG wins at home Sunday against ETSU and all three teams win out, the Paladins would earn the third-place tiebreaker over ETSU. A glance at the boxscore gives the appearance of two very even teams that many thought would put on another classic as they did earlier this season in Spartanburg. Wofford shot 46.7 percent, while Furman shot 46.2. The Terriers hit 9-of-30 (30 percent) 3-pointers, while the Paladins were 6-of-19 (31.6 percent). Wofford had a 33-30 rebounding edge, a 13-10 advantage in assists and both teams had eight turnovers apiece. The difference could be found at the bottom of the boxscore. Wofford scored 11 points off Furman's eight turnovers, while the Paladins scored just four off the Terriers' eight. Wofford had 12 points off nine offensive rebounds, while Furman had only two off its six offensive boards. Seven of Wofford's nine offensive rebounds came in the first half as the Terriers took control. Wofford also didn't allow Furman to do the little things its done this season to be successful. The Paladins entered the day leading the SoCon in steals (9.1 per game) and blocked shots (4.3) per game. Furman had only three steals and two blocks Saturday. "They do a phenomenal job taking care of the ball, so if you're going to make them turn it over you're going to have to have active hands, get some pressure on the passers and make sure you're flying around," Richey said. "I didn't think we did a good job of that in the first half. ... If you allow them to have rhythm, there's a reason they're 16-0 in the league." The turning of the tide was as swift as it was stunning in the first half. When Jalen Slawson slammed home a crowd-energizing putback with 10:53 left, Furman led 21-16 and was 9-of-13 from the floor. It was an unusual path to the early lead as the Paladins - who often come out firing up 3-pointers - were just 1-of-1 from beyond the arc at that point. Then the wheels came off. After Furman's first turnover ended its next possession, the Paladins missed six consecutive shots - all 3-pointers. Furman's scoring drought of 5:35 ended when Matt Rafferty made a beautiful pass to a cutting Alex Hunter for a layup that cut Wofford's lead to 25-23. The Paladins went 0-for-5 from the field the rest of the half though and trailed 39-28 at the break. All told over the final 10:52 of the half, Furman went 1-for-12 from the floor on 17 possessions and was outscored 23-7. "I thought over the first five or six minutes, I thought we did a great job cutting, the ball was moving and feet were moving," Richey said. "Then they got really physical on our cuts. It made us not cut as hard or as frequently. We had 13 'good cuts' in the first half and six of those came in the first four minutes of the game. "They (Wofford) are veterans with good defensive schemes. If you let them sit there in the gaps with all their size down in the paint, if you don't move it then it makes it hard to score. ... We just wanted to sit there and watch Matt a little bit. We're just not nearly as good when we do that." Wofford took its biggest lead of the day 19 seconds into the second half when Nathan Hoover popped a 3-pointer to make it 42-28. Furman fought back and Jordan Lyons' jumper cut the lead to 49-46 with 12:47 left. Wofford's next possession ended on a rejection by Rafferty that made Timmons as loud as it was all day. 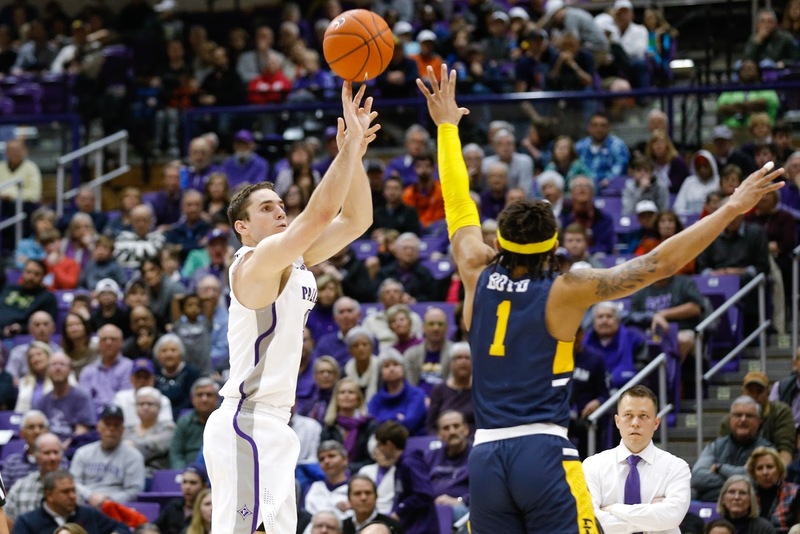 Furman couldn't capitalize as it missed a pair of game-tying 3-pointers then committed a turnover on its next possession when still trailing by three. Every time Furman had any sense of a comeback, Magee snuffed it out. After Rafferty's 3-pointer cut the lead to 54-49, Magee hit a jumper 17 seconds later. After Rafferty's jumper with 4:17 left cut the lead to 62-55, Magee hit a 3-pointer 20 seconds later. After Clay Mounce's 3-pointer cut the lead to 67-59 with 2:36, Wofford ran down the entire shot clock before Magee drilled a 3-pointer that essentially sealed the win with two minutes to play. "I was proud of our guys for continuing to fight. I don't think we played with enough spirit and fight in the first half and that's on me," Richey said. "By the time we came out in the second half and played with it, in a big game like that, it was too late." In addition to Magee's 23-point performance, Cameron Jackson had 18 points, nine rebounds, four assists and two steals for the Terriers. In the first meeting this season, he had only seven points and five boards. In his final home game, Rafferty finished with a game-high 24 points, along with seven rebounds, two blocks and two steals. Jordan Lyons had 16 points and a season-high seven rebounds while Mounce finished with 12 points. Lyons second 3-pointer of the game broke Anthony Thomas' single-season school record of 88 made 3-pointers set in 2001-02. "The loss doesn't take away from how proud I am of this group and these seniors and what they've meant to this program," Richey said. "It was a great day to be able to honor them. There's a reason they're the all-time winningest players in program history. I hated we couldn't come out with a win for them." 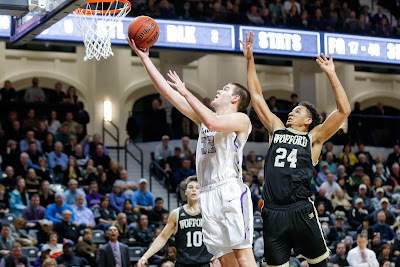 During the Furman men's basketball team rise from the bottom towards the top of the Southern Conference over the past few seasons, quite a few of its games against Wofford have been classics. This includes the first meeting this season, when the Terriers ended the game with a 7-0 run over the final 55 seconds to capture a 59-54 win in Spartanburg. Both teams had a full week to prepare for that intense barn burner. When the teams face off in Saturday's rematch at Timmons Arena at 4 p.m., that will once again be the case. 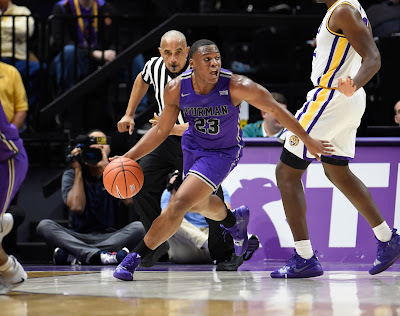 While the rest of the league was in game action Thursday, the Paladins (22-5, 11-4) and Terriers (23-4, 15-0) were preparing for what could prove to be one of the most historic SoCon basketball games ever. It's the last home game for Furman's seniors, including the winningest players in school history - Andrew Brown and Matt Rafferty. Furman is going for its seventh consecutive win and trying to break the record for most regular season wins in school history. Wofford, which is knocking on the door of the AP and Coaches' Top 25 polls, is trying to extend its school-record winning streak to 15 games. It's the latest installment of what's become the best rivalry in the SoCon over the last four-and-a-half seasons. 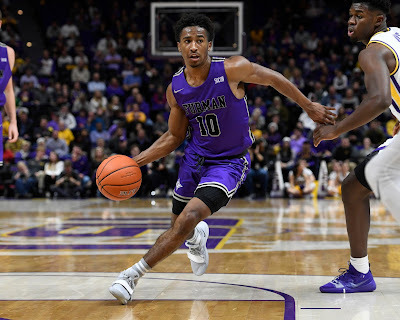 Ever since a last-place Furman team - playing without star Stephen Croone - lost 62-60 to a first-place Wofford team in the 2014-15 regular season finale, eight of the nine meetings have been decided by single digits. The only one that wasn't was last year's game in Greenville, which Furman won 76-52. A Furman win Saturday could prove to be crucial in SoCon Tournament seeding tie-breaker scenarios with ETSU and UNCG, both of whom were swept by Wofford. A Wofford win would tie the school record for most SoCon wins in a season set in 2014-15. It would also greatly increase the chances of the Terriers joining Davidson as the only SoCon members to ever go at least 18-0 in league play. The Wildcats went 20-0 in 2007-08. While either player would surely trade any personal glory for a win Saturday, it will also be the last chance for SoCon Player of the Year voters to see Rafferty and Wofford legend Fletcher Magee on the court at the same time. And then there's one factor nobody could have predicted being discussed. It's an impact from this game that might not be felt until 22 days later. That will be selection Sunday. When the NCAA Tournament field is revealed that evening, it could include two SoCon teams for the very first time. This season, the NET (NCAA Evaluation Tool) rankings are - supposedly - being used to select and seed teams for the NCAA Tournament's field of 68. In the rankings through Thursday's games, Wofford is ranked 24th while Furman is 45th. For what it's worth, the Paladins were No. 42 two days earlier. UNCG and ETSU are No. 60 and 68, respectively. Both the Spartans (23-5, 12-3) and Buccaneers (22-7, 12-4) won Thursday, making the SoCon the only conference with four 22-win teams. In fact, no other conference has more than two. Many national pundits are taking notice of the SoCon. On last Saturday's edition of ESPN's Gameday, analyst Jay Bilas predicted that if Wofford runs the table in league play, the Terriers would make the NCAAs no matter what happens in Asheville. Among the major "bracketology" predictions, Bleacher Report's is showing mid-majors quite a bit of respect. BR's Kerry Miller on Monday projected Wofford as a No. 7 seed facing Syracuse, and Furman as a No. 11 seed facing Maryland. As of Friday, ESPN bracket guru Joe Lunardi has Wofford as a No. 9 seed facing Baylor in Columbia, but doesn't list Furman among the first eight teams out. 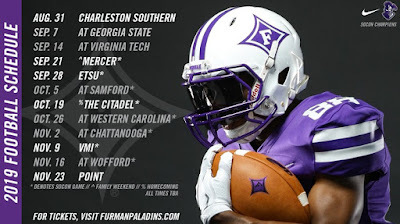 After listing Furman as one of the "first four teams out" earlier this week, CBS Sports' Jerry Palm on Friday projected Furman as one of the "last four teams in." Palm has Furman as a No. 12 seed in one of the "play-in" games against Utah State. He has Wofford as a No. 9 seed facing Mississippi. As of Monday, Sports Illustrated's Michael Beller has Wofford as a No. 8 seed and Furman among the "first eight teams out." Bracket Matrix, which gives an average positioning based on all the published brackets, has Wofford as a No. 9 seed and Furman as the fifth team out of the tournament. Wofford claiming an at-large bid certainly seems like the most plausible way for two SoCon teams to make the field. However, given Furman's current ranking a win by the Paladins on Saturday should certainly boost them inside the NET's top 40. If Furman could win out from there before falling in the SoCon Tournament finals, the Paladins could be poised for an at-large bid. But, there's a big "but." Saturday isn't the regular season finale. Furman and Wofford each close out the with road trips to Samford and Chattanooga next week and neither should be a cakewalk for either team. Any loss there likely ends any talk of the SoCon being a two-bid league. With so much on the line, the emotions of Senior Day and playing in front of packed house of fans that sold this game out weeks ago, the Paladins have tried to to avoid getting caught up in the hype. "The students around campus will be more hyped for this game than any other because it's Wofford. But we've got to focus on how we can get better early on this week, then focus on Wofford," Rafferty said following last Saturday's win over VMI. While his team has a lot of young parts that have been vital to its success, Furman coach Bob Richey believes they won't get lost in the bright lights of it all. This is in part thanks to the national attention the Paladins thrust themselves into early on this season. "We've got to be smart about how we manage this week," Richey said last Saturday. "We've dealt with a lot of noise this year. I don't expect the noise of this game to take away our focus of doing what we have to do. "It's a really, really good team (Wofford). ... It's going to be a great challenge, there's no doubt about it. It's going to be a great Saturday afternoon for college basketball and it just shows how good this league is." Kansas (47) and Furman (59) are the only teams to hold Wofford to less than 64 points this season. The Paladins enter Saturday's game ranked No. 1 in the SoCon in scoring defense (65.3 points allowed per game), three-point field goal defense (31.6 percent), blocked shots (4.3 per game) and steals (9.1 per game), and rank second in field goal defense (41.5 percent). Furman's defensive intensity and focus have been especially evident during the current winning streak. "They're a good team obviously, but we've played well on our home court and gotten even better on defense since the last time we saw them last," Rafferty said. "It's Senior Night and a lot of family will be there. It should be a good one and we're all excited for it." Given VMI's position of last place in the Southern Conference, and its position on Furman's schedule of sandwiched between games against second-place UNCG and first-place Wofford, Saturday's contest might have been referred to as a "trap game" for the Paladins by those who get paid to say such things. As it turns out, the Keydets got the same team that's been laser-focused for the past three weeks. Once again, Furman's defense was stifling and the Paladins led from start to finish in a 96-62 victory at Timmons Arena. It's the sixth consecutive win for Furman (22-5, 11-4), which remains tied with ETSU (21-7, 11-4) for third place in the SoCon but is just a half-game back of UNCG (22-5, 11-3) following the Spartans' loss at Wofford (23-4, 15-0) Saturday night. The victory ties the school record for most wins in a regular season set last year. Of the 240 minutes played in the winning streak, Furman has trailed for a total of 22 minutes and 42 seconds. UNCG led for 19:13 of those. "We had a good, clean game for the most part and did what we needed to do. We hit a lot of our marks with our measurables that we look at, so that was good to see," Furman coach Bob Richey said. "I had a quite a few people warning me to stay focused but there was no need to worry (about focus). "These guys (VMI) went to Johnson City and lost by three (to ETSU), played Greensboro really close at home and present a lot of problems offensively. We knew that we were going to have to be locked in." It was a "spread the wealth" kind of night for Furman offensively. Noah Gurley led five Paladins in double figures with a career-high 19 points and did so in just 20 minutes as the starters got quite a bit of rest. After having only three players score in the first 33 minutes of the UNCG game on Thursday, it was the polar opposite Saturday. When Mike Bothwell hit a layup with 13:28 left in the first half, he was the sixth different Paladin to score. That basket also gave Furman a 21-10 lead and the Paladins never led by fewer than double figures the rest of the way. Even the end of half possession, which hasn't been pretty at times this year for Furman, went perfectly Saturday. Jordan Lyons drained a 3-pointer in the final seconds to push the lead to 53-29 at the break. Eight different Paladins scored in the first half as the team shot 62.1 percent from the floor, made 9-of-17 3-pointers, and had assists on 14 of its 18 made baskets. "Coach always tells us that 'consistency builds confidence,' and we've been working in the gym. When I got on offense today, it just felt natural. There was no doubt in my mind what I could do out there," said Gurley, who scored 14 in the first half. "Having a good week of preparation built me for this." Gurley's first-half was highlighted on a play where was trapped in a double-team in a corner. Losing possession for a split-second allowed him to dribble again. When a bit of space opened along the baseline, Gurley needed just two dribbles to get to the basket for a dunk. "It was pretty much an incredible play," Richey said. "I think because of how we play and operate, I don't think our guys get in too much of a panic when they're trapped." 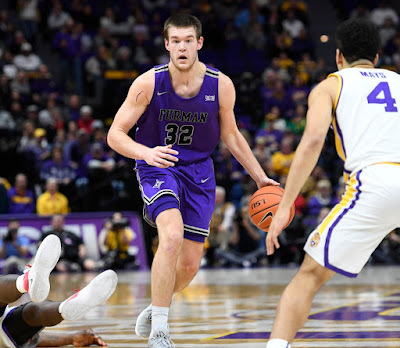 Perhaps the only question in the second half would be if Matt Rafferty would play long enough to capture what was believed to have been Furman's first-ever triple-double. Rafferty had six points, seven rebounds and five assists in the first half, then had four points, a rebound and two assists just over four minutes into the second half. Alas, that feat wasn't mean to be Saturday. After checking out at the 15:55 mark, Rafferty came back in for all of 3:37. Rafferty hit a pair of free throws with 10:11 left and got the rest of the day off. The senior captain finished with 12 points and 10 rebounds - for his 13th double-double, to go along with seven assists, one blocked shot, zero fouls and zero turnovers in 25 minutes. "I was tempted to play Matt a few more minutes, but I thought it was the right thing to let our depth play," Richey said. "It's that time of year where you want to keep rounding your edges. Anytime we can get our depth out there to prepare for what we've got to do down the stretch, I think that's a very important deal." Clay Mounce finished with 13 points, two of which came on one of the highlights of the game. 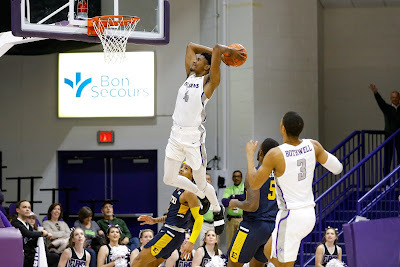 After Mounce used his long wing-span to block a 3-point attempt by SoCon leading scorer Bubba Parham, Alex Hunter looked like a volleyball player spiking the loose ball to the other end of the court where Mounce reeled it in for a dunk. Just 42 seconds later, Rafferty also spiked a loose ball to a teammate. Gurley caught this one and drained a 3-pointer to make it 66-37. Bothwell had a career-high 13 points, two blocks and two steals, while fellow reserve Tre Clark had 12 points, two blocks and three steals. Lyons, Alex Hunter and Andrew Brown finished with nine, eight and seven points, respectively. Despite only having two assists over the final 15:54, Furman finished with 20. It's the sixth time this season the Paladins have recorded at least 20 assists. "I think I needed the rest and it was good to get other guys some playing time," Rafferty said about his early exit. "Obviously, I love being out there but giving other guys some opportunity is even better. "Our ball movement was great. Twenty assists is huge going up against a matchup zone. Moving the ball and sharing with each other, not caring who scores - that's our recipe." Furman also went 21-of-28 from the foul line, which are season highs in both makes and attempts. "The free throws were great to see," Richey said. "That's something that's been a little bit of a weakness for us this season." Defensively, Furman held VMI (7-19, 1-13) to 33.3 percent shooting from the floor. While the Paladins didn't shut down Parham quite like they have other teams' best shooters during this winning streak, they still held him below his 20.8 points per game average. Parham was the lone VMI player in double figures with 16 points and three assists. He hit 4-of-10 3-pointers, including a pair of really long ones in the second half. In the two games against Furman this year, Parham scored a total of 22 points. The win sets up a showdown against Wofford next Saturday on Senior Day at a sold-out Timmons Arena. Each team will have the full week off to prepare, just as they did prior to the classic played Jan. 19 in Spartanburg. Tip-off is set for 4 p.m.
Morehead State starting pitcher Dalton Stambaugh tossed five good innings and reliever Alex Garbrick followed with four great ones as the Eagles dealt Furman a 6-3 loss in the season opener for both teams Friday at Latham Stadium. Stambaugh allowed two runs on five hits, while Garbrick gave up one run on one hit. The duo combined for 11 strikeouts and five walks. Furman starter Nik Verbeke allowed one unearned run on four hits in four innings. After 76 pitches, Verbeke was relieved by Jordan Beatson. Beatson (0-1) gave up four runs on five hits in 1 1/3 innings to take the loss. Morehead State took a 1-0 lead in the third inning on a sacrifice fly by Ryan Layne. Furman freshman centerfielder Jordan Starkes prevented another run from scoring with a terrific running catch in the right-centerfield gap to allow just the sac fly. Starkes helped the Paladins answer in the bottom of the third when he laid down a perfect bunt with two outs for Furman's first hit of the season. Freshman Banks Griffith followed with a bloop double to tie the game. The Paladins took their only lead an inning later when David Webel grounded out to second with the bases loaded and one out. That lead was short-lived however as the Eagles scored a pair of runs in the fifth. Jake Hammon's run-scoring infield single was followed by a Bryce Hensor sac fly that gave Morehead State a lead it never relinquished. Hunter Fain and Dom Peroni later added solo home runs for the Eagles, who belted 83 homers as a team last season in winning the Ohio Valley Conference championship. Logan Taplett was the lone Paladin with multiple hits as he went 2-for-4 with a run scored and an RBI-double in the eighth inning that cut the lead to 6-3. In his Furman debut, junior transfer catcher Dax Roper walked in all four of his plate appearances. Roper didn't get a chance to tie Ryan Presnell's single-game school record for walks in a game (set on Feb. 16, 2001). The Paladins were retired in order in the ninth leaving Roper in the hole. Another newcomer that was solid for Furman was freshman reliever Rob Hughes. Hughes didn't allow a hit over the final two innings. He had one walk and two strikeouts. Game two of the three-game series is scheduled for Saturday at 1 p.m. 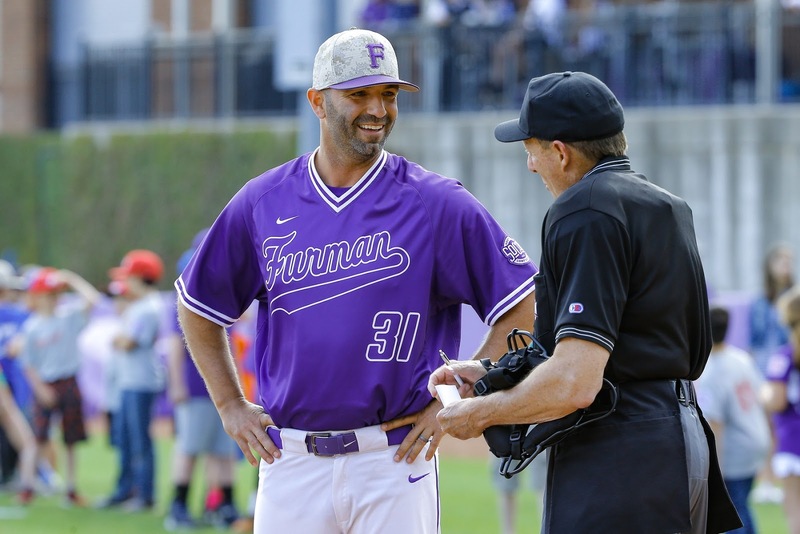 The Furman baseball team enters the 2019 season with modest - at best - expectations from outsiders. Coming off a 24-28 season and with a quite a bit of roster turnover, the Paladins are picked to finish sixth (media) and seventh (coaches), respectively, in the Southern Conference preseason polls. On the eve of Friday's season opener against reigning Ohio Valley Conference champion Morehead State, Furman coach Brett Harker said those expectations serve as nothing more than motivation for his team. "This is the most excited I've ever been about being picked seventh because of the identity of this team. This team has a chip on its shoulder and its unity and leadership is the best I've ever been around," Harker said. "So you have that mixed with people overlooking you? What a sweet recipe to have a big year. "We don't have any big names at the start of the year, but I think we're going to have some big names at the end. ... It's been a lot of fun to show up at the ballpark every day and we haven't even played a game yet." While 17 lettermen are back this season, Furman will look to replace seven of its top 11 hitters from last year. Two of those seven were unexpected as freshman All-American centerfielder Ben Anderson transferred to Georgia shortly after last season and Jake Crawford suffered an elbow injury that will sideline him for the entire 2019 season. Crawford will red-shirt this year as he recovers from Tommy John surgery, but will still contribute as the team's first base coach. That will allow new assistant Andrew Cox to serve as a "bench coach" alongside Harker in the dugout. First pitch of game one of the season is scheduled for 4 p.m. Friday. Saturday and Sunday's games are each scheduled for 1 p.m. starts - weather permitting. Jordan Starkes CF: After Anderson led off last season, another true freshman centerfielder will lead off this year. Starkes was a two-sport standout at Northwestern High. He helped the baseball Trojans go 29-4 and win a state championship in 2017. In his high school football career, Starkes had 2,303 yards receiving, including a 74-yard touchdown catch in Northwestern's 2015 state championship victory. Banks Griffith 2B: Another freshman will follow Starkes in the lineup, but the last name is familiar as he's the younger brother of former Paladins, Ryan and Sims. Banks Griffith comes to Furman after starting all four years at Class 6A Gainesville (Ga.) High, where he's the all-time leader in hits. Dax Roper C: While one former Belton-Honea Path High standout is out of this year's lineup in Crawford, another one is in with Roper. Roper is a junior transfer, who hit .355 with seven home runs and 38 RBIs in 42 games at Florence-Darlington Tech last season. Harker believes Roper has the across-the-board tools to be a SoCon Player of the Year contender. Trent Alley DH: After going 2-for-17 at the plate in 2018, Alley has made perhaps the biggest strides in the offseason. Harker said Alley's hit close to .375 with some big power numbers in fall ball. "He's really made the jump we've been looking for him to make," Harker said. Jabari Richards LF: After hitting .255 with six homers and 32 RBIs last season, Richards is a preseason All-SoCon second team selection. With 22 career home runs, Richards is just three shy of entering the top 10 in school history. Harker said Richards has had consistently good at-bats this offseason. Logan Taplett 3B: For the second year in a row, Taplett will be filling the shoes of an injured player as he takes over for Crawford at third base. Taplett hit .273 last season and was a catcher for much of the year as Jason Costa's injuries limited him to DH duties. John Michael Boswell 1B: Harker said Boswell won the first base starting job this offseason, but fellow senior Deon Sanders and freshman Anthony Fontana should contribute there as well. Boswell hit .239 in 26 games last season and was 7-for-11 (.636) as a pinch-hitter. Bret Huebner SS: Huebner is set for his third season as starting shortstop and was one of two Paladins to start all 52 games in 2018. After hitting .143 over his first 10 games last season, Huebner finished the year with a .293 average, one homer and 22 RBIs. David Webel RF: After earning the opening day start as a true freshman in 2017, injuries have limited Webel's availability ever since. Harker said the "little sparkplug" is completely healthy and ready to cause havoc on the basepaths. Harker added that it's like having leadoff-type batters at the top and bottom of the order. The Paladins return two of three regular starting pitchers, but will have to replace Grant Schuermann. Schuermann, who led Furman in innings pitched (81 1/3) and strikeouts (53) in 2018, has graduated and spending his final year of playing eligibility at Central Florida. "This is the most confident I've ever been for our guys going out and making you hit the ball and throwing the ball in the strike zone," Harker said of this year's pitching staff. Friday - Nik Verbeke: Harker's "most competitive pitcher" gets the opening day start this season after sliding into the Friday starter role for much of last season. A second-team All-SoCon preseason pick, Verbeke fought through some nagging injuries last season to go 5-5 with a 4.50 ERA that was lowest among the starters. In SoCon play, Verbeke went 2-2 with a 3.50 ERA. Saturday - Matt Lazzaro: After earning a spot as a weekend starter to open last season as a freshman, Lazzaro is back and the southpaw gives Furman a righty-lefty-righty weekend rotation. Lazzaro went 3-4 with a 4.85 ERA before being shut down - outside of one relief appearance - over the final six weeks due to arm fatigue. He had 34 strikeouts and just 10 walks in 52 innings. Sunday - David Dunlavey: After going 12-1 with a 3.58 ERA at USC-Lancaster in 2017, Dunlavey was expected to compete for a starting spot last year before missing the season following Tommy John surgery. "He's come back stronger than ever and is a dominant force with a three to four-pitch mix," Harker said. "He's gives us some velocity we haven't had in awhile." Midweek - John Michael Bertrand: After missing the 2017 season with an injury, Bertrand went 5-3 with a 4.88 ERA in 16 appearances (seven starts) last season. The left-hander had just 12 walks in 51 2/3 innings and earned the team's Carter Grote award as the "heart and soul of the team." Midweek - Rob Hughes: Hughes is a 6-foot-3, 220-pound freshman right-hander who was a teammate of Starkes at Northwestern. Hughes was 8-1 with a 1.30 ERA as a senior, went 11-1 with an 0.50 ERA on the Trojans' state title team in 2017, and went 5-0 with four saves as a sophomore. "The kid's got electric stuff," Harker said. "He's going to have a really special career for us." The Paladins must replace Tyler Kimbrell, who led the 2018 team in ERA (3.79), appearances (25) and saves (6), Heath Hawkins, who had a solid career as a reliever the past four seasons, and Crawford. Sophomore Jordan Beatson appears to be in line to get the first shot as closing games this year. Beatson had an ERA under 4.00 until mid-April before struggling over the final month last season. He finished 2-2 with a 6.45 ERA and was second on the team in appearances (21) and opposing batting average (.275). Harker is also counting on left-handed juniors Andrew Holweger, Hank Nichols and Jeremiah Garcia. Nichols and Garcia are new Paladins this season, but not new to the local area. Nichols is a 6-foot-5 transfer from South Carolina, who played at J.L. Mann. Garcia is a sidearm pitcher who played at Woodmont High and transferred in from USC-Lancaster. Bertrand and Hughes will also obviously be available out of the bullpen as needed. One noticeable thing over the first two years under Harker has been some pretty cool games on the schedule. After playing a weekend series at traditional power Wichita State last season, the coolest part of this season's schedule is a unique minor league ballpark tour series against Wake Forest. Game one will be held March 1 at the minor league home of the Winston-Salem Dash. The next day, the teams will face off at the Charlotte Knights' beautiful new ballpark before wrapping up the series at the Greenville Drive's Fluor Field. That's one of six regular season games this season scheduled for Fluor Field, which has become the Paladins home away from home. This includes five consecutive games on the schedule from March 3-10 and a game there against South Carolina on March 19. While it's fun to play in a gorgeous minor league park, Harker said it doesn't exactly hurt recruiting either. "Fluor Field has our logo on the home dugout for a reason. ... Obviously, if we want to win SoCon championships, that (Fluor Field) needs to be our home and we've got some good games there," Harker said. "I use downtown Greenville in addition to Fluor in recruiting. I was born and raised here, so I have a ton of pride in Greenville." The schedule also features Big XII member Kansas visiting Furman for a three-game series over the last weekend in April during the Paladins' off weekend from SoCon play. The Paladins also visit former SoCon foe and Harker's alma mater, the College of Charleston, March 15-17. "I could say that would be just another series, but I'd be lying. ... That will be a whole lot of fun returning there and facing their really good ball club," Harker said. "It's a challenging schedule, but it gives us a great opportunity to show what we're made of. "It's not all going to be roses, but this team has the mentality to be able to weather the storms. I'm excited to get in the foxhole with them and start competing." There's been one obvious factor during the Furman men's basketball team current win streak - tenacious defense. On Thursday night against UNCG, that was again the case and it couldn't have come against a more symbolic opponent. In the first showdown between these two members of the Southern Conference's "big four" this season Jan. 12, Furman shot 52.9 percent from the floor, 55.6 percent (10-of-18) on 3-pointers, and 88.2 percent from the foul line. All that offense was wasted though as the Paladins left Greensboro with a 10-point loss. On Thursday, Furman shot 43.1 percent from the floor and hit just 7-of-23 (30.4 percent) of its 3-pointers. This time around though, it was the Paladins who sent the Spartans home with a 10-point loss. Furman held UNCG to 35.5 percent shooting from the floor and limited the Spartans to their third-lowest scoring output this season in a 67-57 win. "I'm so proud of this group. ... We had to go on the road to these top of the league teams three times (in the first half of the SoCon schedule). ... I told our guys, 'this thing's going to balance out. You've just got to stay with it and keep getting better.' We just had to keep improving and man, have we," Furman coach Bob Richey said. "Just watching that game tonight, what a fight. Both teams played their hearts out. It was a war for every ball and every pass. That's a championship level basketball game right there. "We were fortunate enough to make the plays down the stretch. ... We had a clean finish those last few minutes after taking the lead." The win extended Furman's win streak to five games, while snapping UNCG's eight-game winning streak. The victory also marked the Paladins' first win over the Spartans in their last five meetings. Furman (21-5, 10-4) remains tied for third-place in the SoCon with ETSU (20-7, 10-4), while second-place UNCG (22-4, 11-2) is now two losses back of Wofford (22-4, 14-0) in the league standings. The SoCon is currently the only conference in the country with four 20-win teams. Just as they did against Citadel's Matt Frierson, Mercer's Ross Cummings, Western Carolina's Matt Halvorsen and ETSU's Patrick Good during the win streak, the Paladins controlled the opposition's best shooter again. UNCG's Francis Alonso, who entered averaging 17.2 points per game and hitting 38.2 percent of his 3-pointers, was held to 10 points Thursday. He hit 2-of-7 shots from beyond the arc and committed six turnovers. As a team, UNCG hit six 3-pointers Thursday. While that's the most allowed by Furman during its win streak, the Spartans only made 26.1 percent of its 3-point tries. In the first meeting, UNCG sank 11-of-24 3-pointers. "We know that defense is our ticket. I think we did a great job of following that defensive gameplan tonight," said Jordan Lyons, who scored 22 points. "We did a great job of fighting through the highs and lows and sticking together through everything. "Alex Hunter did an unbelievable job of chasing Alonso everywhere tonight. But one thing we've understood that it's never just a one-on-one matchup (against an opponent's best shooter). It's a whole five, team mentality. Everybody's bought in to the task at hand when it comes to guarding these prolific shooters." In the first half, Furman only had three players with any points and only three with any rebounds, but clung to a 27-25 lead. It was still a tight game in the second half before the Spartans went on an 8-0 run to take a 42-36 lead with 11:58 to play. After a Furman timeout, Matt Rafferty answered UNCG's run with a personal 7-0 run of his own to put the Paladins back in front. That was the first of five consecutive lead changes. The fifth one came on Rafferty's layup with 7:07 left to give Furman a 47-46 lead. "We quit giving the ball to them. We ignited their run with turnovers and they did a great job pressuring us," Richey said. "There were also four, five or six (offensive) trips where Matt didn't touch it. So in the timeout, it was, 'take care of the basketball and make sure our big fella gets it.' ... I think we did that from that point forward and played a much cleaner game." At that point, Lyons, Rafferty and Clay Mounce were still the only Paladins in the scoring column. As it turns out, the scoring of fellow starters Noah Gurley and Alex Hunter simply iced the cake. After Hunter got a steal on UNCG's ensuing possession, Gurley became the fourth Paladin to score on a layup with 6:49 left. On Furman's next possession, the Paladins - who got beat up on the boards in the first half - got three offensive rebounds before Rafferty's layup. Just 29 seconds later, Lyons drilled a 3-pointer and Furman's lead was suddenly eight with five minutes to play. Gurley hit a 3-pointer to put the Paladins up by nine with 4:10 left, then hit a layup a minute later to put them up by nine again. The win was sealed when Hunter became the fifth Paladin to score. As Furman ran off 29 seconds of the shot clock, Hunter soared to the basket for a layup with 1:06 left to make it 63-55. "They don't do much, quote-unquote, on the stat sheet for 33 minutes, but they stay engaged enough to make some big-time, high-level plays down the stretch," Richey said. "You've got to stay mentally engaged and that was the key for this group tonight." Rafferty recorded his 12th double-double this season with a game-high 26 points and 10 rebounds, while adding five steals. Mounce had eight points, seven rebounds and four blocks. Gurley had five blocks and Hunter had four steals. While Furman's reserves were outscored 3-0, Jalen Slawson made the most of his five minutes off the bench with three rebounds and a steal. "I think this group's physicality and toughness has been questioned by a couple of people," Richey said. "You don't hold teams that are that good offensively under 60 without being physical and tough." Isaiah Miller, who went off for 25 points in the first meeting, led UNCG with 16 points and four steals Thursday. Duane Vaughn is Furman's new defensive coordinator. Two years after being retained on the Furman football coaching staff by Clay Hendrix, Duane Vaughn has earned a promotion from Hendrix. On Tuesday, Hendrix announced that Vaughn would be taking over as the Paladins' new defensive coordinator. Vaughn's promotion comes following the departure of Chad Staggs, who left to coach linebackers at Coastal Carolina. Vaughn came to Furman in 2011 as part of the new staff for Bruce Fowler, who Vaughn played for at Vanderbilt. Over the last eight seasons, Vaughn has coached the Paladins' tight ends, safeties and - for the past two seasons - outside linebackers. He's also served as Furman's recruiting coordinator the last two years. In a corresponding move to Vaughn's promotion, Hendrix announced that inside linebackers coach Ken Lamendola is taking over that position. "It's just a natural progression for Duane (to be the defensive coordinator). He's been here eight years now and everything I've ever given him to do, he's just been exceptional at," Hendrix said. "He's smart, a Vandy grad. He has a good rapport with the kids and has a good grasp on what we're doing defensively. "I've been pretty pleased with the progression we're making (defensively) and I think this gives us the best chance to continue that." When word started to get out about Staggs leaving, Hendrix said he heard from plenty of coaches in replacing him. For Hendrix, Vaughn "checked all the boxes," just as he did two years ago when he and Brian Bratton were retained from Fowler's staff. "He's a guy that could've left since I've been here," Hendrix said. "I think he wanted to move up the chain here. It's funny how that works sometimes. Guys will pass up opportunities, keep working, and get a chance." Staggs departure for Coastal Carolina following Chadwell being named head coach there should not come as a shock. He worked as Chadwell's defensive coordinator at both North Greenville and Charleston Southern previously. A few days after Staggs left, Furman also lost cornerbacks coach Addison Williams, who departed for a position at Auburn. Hendrix said while the Paladins may do some different things on defense, there wouldn't be any dramatic shifts from what Furman has been doing defensively. "If you have good coaches and you do well, you're probably going to lose some of them. That's the nature of the business," Hendrix said. "I've learned in this job, you better be looking ahead and always planning." Staggs' two seasons as defensive coordinator was highlighted by an aggressive style of defense. After Furman totaled 20 sacks over 22 games in 2015 and 2016, the Paladins piled up 61 sacks in 23 games over the last two years. One of the big contributors to that sack total was one of Vaughn's players, Adrian Hope. Hope led the country with 15.5 sacks as a freshman last season. "Chad did a great job here. I appreciate his hard work. He had a huge hand in changing the culture of our defense from the time he got here," Hendrix said. "At the end of the day, he left it much better than he found it." "Addison's a young guy who had a chance to go work at an SEC school. He did a really good job here as well. I think he struggled with the decision a little bit, but I'm happy for him. ... I wish both of them nothing nothing but the best." On Wednesday, Hendrix announced one of two new assistant coaching hires set to be made. Rod Ojong officially joined Hendrix's staff as the new cornerbacks coach. Ojong previously served as cornerbacks coach at Austin Peay last season. Prior to that, Ojong was a defensive graduate assistant in the 2016 and 2017 seasons at North Carolina. Ojong also gained coaching experience at Memphis, West Georgia, Lindsey Wilson and Monmouth (Ill.) College. The Brooklyn native was a team captain as a senior linebacker at Monmouth in 2011 and he recorded a team-high 104 tackles that season. "I met him several years ago and was impressed with him from the start," Hendrix said. "He's had some tremendous mentors and comes highly recommended from some of the best coaches in all of college football." Hendrix said the final assistant to fill out his coaching staff would likely be hired after spring practice, which is set to conclude on Feb. 26. CULLOWHEE, N.C. - Prior to the Furman men's basketball game at Western Carolina Thursday night, the Furman women's team set a school record on the same court. The Lady Paladins allowed the fewest points they ever have in a Southern Conference game in a 53-28 win over the Catamounts. For the first half of the game two of the doubleheader, it appeared the Furman men might do the same. After taking a 26-13 lead into halftime, the Paladins went on to a 64-45 win. While it's not the school's modern-era SoCon record set two years ago in an 85-37 home win against the Catamounts, it is the fewest points allowed this season by Furman. WCU's 31.4 field goal percentage for the game is also the lowest allowed by the Paladins this season. "Defense is what we have to do. We've got length and athleticism and we've got to use it," Furman coach Bob Richey said. "On the road especially, you can't worry about making or missing shots, you've got to go out and play as hard as you can and play as a unit. We did tonight. "I think that's the first time we've (drawn) three charges this season and had a lot of verticality at the rim. I thought we did a great job of protecting the basket tonight." Thursday's win capped a 3-0 roadtrip for Furman that followed an extremely tough home loss to Samford on Jan. 26. The Paladins (19-5, 8-4 SoCon) won all three games by double digits. While Furman trailed a game for the first time on the road trip Thursday, that lasted all of two minutes and two seconds. The struggle was real for both teams to open the game. After Western Carolina took a 2-0 lead a little more than two minutes in, Matt Rafferty got Furman on the board at the 15:48 mark. Thirty-six seconds later, Alex Hunter's 3-pointer gave the Paladins the lead for good. After the reigning SoCon Player of the Week, Onno Steger, scored at the 17:50 mark, Western Carolina's next field goal came at the 7:19 mark and it cut Furman's lead to 16-5. The Catamounts (6-19, 3-9) made 5-of-26 shots (19.2 percent) in the first half, including 1-of-7 on 3-pointers. "It starts with our toughness. For the past three road games, we knew we were going to have to be tougher than we had been and we did that," Rafferty said. "Defense comes with toughness and we've really been locked in the past three games. That's kind of propelled on offense as well." Western Carolina cut the lead to 10 a little under two minutes into the second half, but never got closer. In a six-minute stretch midway through the second half, Furman went on a 15-5 run to take its biggest lead of the night at 54-29 with 8:04 left and remove all doubt. The Paladins forced a season-high 22 turnovers and scored 29 points off those. Noah Gurley had 14 points to lead the Paladins and also a pair of big blocked shots. Rafferty posted his 11th double-double this season with 13 points and 10 rebounds. He also had a steal to tie Guilherme Da Luz for the school's single-season record of 64. Alex Hunter was the lone other Paladin in double figures with 10 points. Gurley and Rafferty's defensive effort down low frustrated Carlos Dotson, who had 27 points and 14 rebounds in Furman's 90-88 double overtime win against WCU in Greenville back in December. On Thursday, Dotson again had 14 rebounds. While six of those were offensive, he only finished with seven points on 3-of-8 shooting and had five turnovers. "It was all about limiting his touches today," Rafferty said. "He's a great offensive rebounder, but others helped me and Noah on the boards by crashing down. ... Our guards also did a great job shutting down their shooters." While Gurley and Rafferty controlled things down low, Jordan Lyons and company continued to make life miserable for WCU sharpshooter Matt Halvorsen, who entered Thursday having made 60-of-170 3-pointers this season. After going 1-for-15, including 1-for-13 from beyond the arc in Greenville, Halvorsen was 1-of-7, including 1-of-5 on 3-pointers, Thursday. Halvorsen scored all four of his points on a four-point play with 2:37 left. Furman also held Steger, who totaled 51 points over two games last week, to eight points on 3-of-10 shooting. "It (defense) starts on the ball. ... I thought we did a really good job with our pressure and we also contained the bounce pretty well tonight," Richey said. "We weren't necessarily as clean as I'd like. We finished with 14 turnovers. That's too many for us, but we will continue to work on that. We didn't shoot it that great from three, but when we guard with that effort, energy and intensity, we're tough." 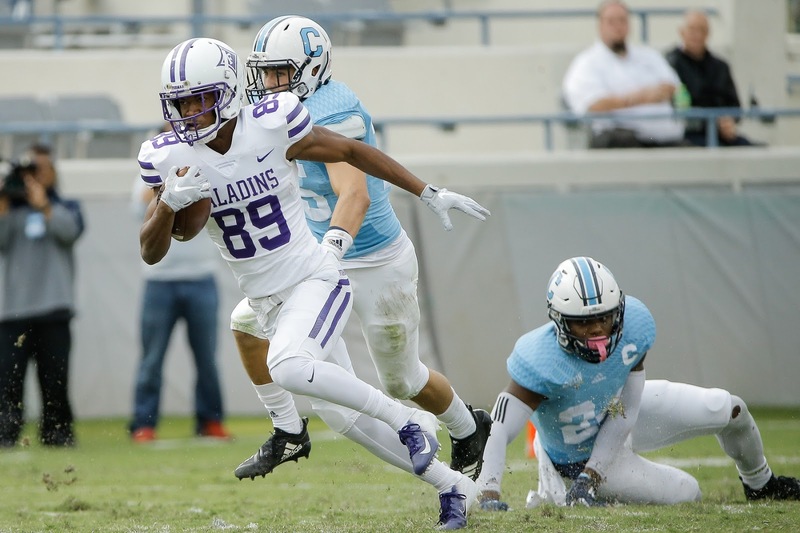 Furman football coach Clay Hendrix believes that a college player's third year - ideally as a redshirt sophomore - typically offers the biggest chance for them to elevate their game. 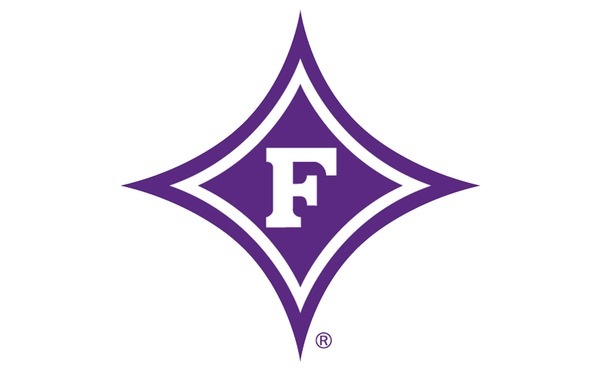 Following Furman's annual Signing Day Celebration Wednesday afternoon in which the Paladins' latest recruiting class was discussed with fans, Hendrix said that same belief could be applied to a head coach and staff. Seven more players signed their national letters of intent to play football at Furman on Wednesday's traditional signing day. That wrapped up Hendrix's third recruiting class with a total of 16 players. "I think we filled needs, but the biggest thing is the overall quality of (the class). Our coaches did a great job," Hendrix said. "I think we're finally getting to a point where we don't have to have this guy or that guy. "Eighty percent of the kids on our roster now weren't here when we first got here counting this class. ... That's not easy to do, especially when you're not doing it with transfers and junior college guys. We've worked hard to do that and I think our depth is significantly better than it has been. We've still got a few spots so we're not there yet, but I'm really excited about where we are." Furman added four players on defense and three on offense Wednesday. That brings this year's total class numbers to eight defensive players, seven offensive and one to be determined as Bryce McCormick is listed as a linebacker/tight end. Among the new offensive players signing Wednesday were two skill position players from high schools 1,000 miles and 15 miles away, respectively, in running back Wayne Anderson Jr. and wide receiver Jake Kimmelman. Anderson (5-foot-10, 185 lbs.) hails from Prosper, Texas where he played for Class 6A Prosper High. He ran for 1,524 yards and 18 touchdowns to help his team go 9-3 this past fall. He also had 314 yards receiving and caught two touchdowns. Also a member of the track team, Anderson holds the school record in the 400m at 49.33 seconds. "You watch the tape and you think, 'how does this guy not have more (recruiting) stuff going on?' ... One of the interesting things on film is you never see him get caught," Hendrix said. 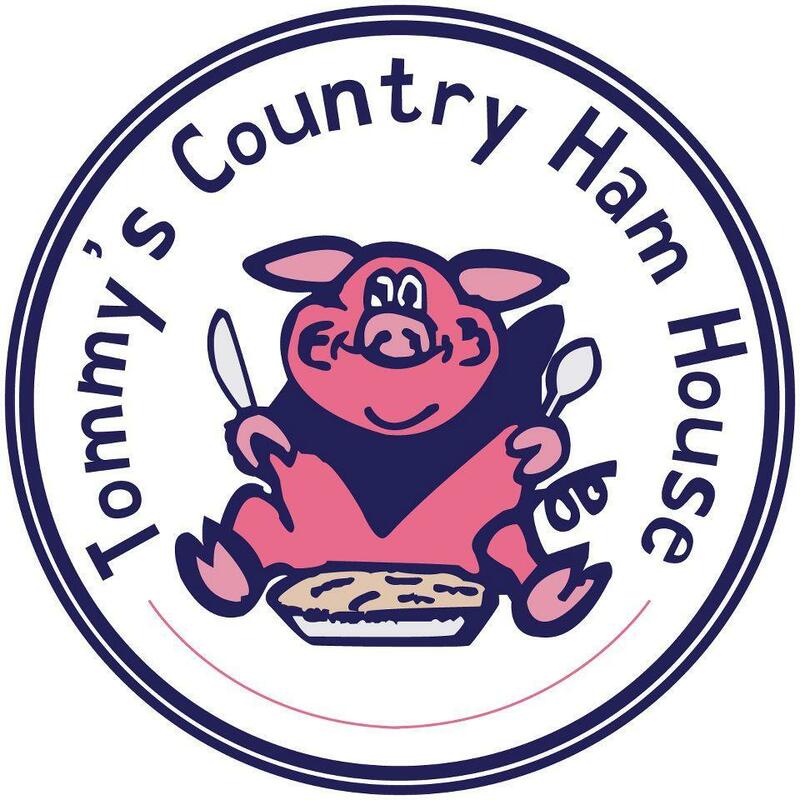 "One of our young guys, (quality control assistant) Hamp Smith, found him and then is it was, 'well, will he leave Texas to come here?' ... He's just a great fit for us. He wanted what Furman could offer educationally. "Quite honestly, we've made a concerted effort to invest out there (in Texas) and see what we can do. If you look at the Dallas metroplex, there's a lot of really good football and really good schools. ... I've also learned a little bit to see how important football really is to (players), and football's really important out there." Kimmelman, a Greenville native, helped Southside Christian go 11-3 and reach the Class 2A Upper State championship game in 2018. Despite being limited to nine games due to injury, Kimmelman (6-2, 185) caught 40 passes for 685 yards (17.1 yards per catch). He also collected 35 tackles as a defensive back. Kimmelman's signing helped the Paladins total six signees from South Carolina this season. "We've had him in camp for at least two years and he might have even been here when he was a sophomore. He's got a really good frame and speed, great length and is a polished receiver," Hendrix said. "He comes from a really good football program. I think they do a great job coaching kids up over there. ... Signing local kids to me is huge." The other offensive player to sign Wednesday was offensive guard Dan Dodd III from Keystone Heights, Fla. A four-year starter at Class 4A Keystone Heights High, Dodd is the third offensive lineman in this class and the largest at 6-4 and 285 pounds. He was also a district and regional champion weightlifter as a junior. Furman's defensive secondary got a boost Wednesday with the signings of cornerbacks Kam Brinson and Cally Chizik, as well as safety Hugh Ryan. Linebacker Josh Agbenou was the other defensive player to sign. At Class 1A Aquinas (Ga.) High, Brinson was a three-time All-Region 7 selection and earned first team All-State honors from the Atlanta-Journal Constitution as a senior. Chizik is the son of former Auburn coach Gene Chizik and was a first team All-State performer this past fall at Class 7A Auburn (Ala.) High. Chizik is also a baseball standout and was Auburn High's leadoff man on its 2018 state championship team. Ryan comes to Furman after helping Dutch Fork High go 41-1 over the last three seasons and capture Class 5A state championships in each of those years. He made more than 200 tackles in his prep career, including 92 as a senior. The Irmo native also had three interceptions to help earn All-State honors in 2018, which he capped with a seven-tackle and one-sack performance in the Shrine Bowl. Like Chizik, Ryan also shines on the baseball diamond, where he hit .391 last season to earned second team All-State honors. Ryan's mother was a standout golfer at Furman, while his grandfather played pro baseball in the Minnesota Twins organization. "Guys that are used to winning are always nice to have," Hendrix said. "Guys that have had to work and put in the grind in the offseason, and also kids that are really prepared for Furman. I think these schools have done a really good job in that." Agbenou earned second team All-State honors after posting 133 tackles in 10 games in 2018 for Class 6A Apalachee High in Georgia. The Bethlehem, Ga. native chose Furman from 14 scholarship offers, including six from FBS programs. Bios for all of this year's signees can be found here. RB Dominic Roberto, 5-11, 230, Fayetteville, N.C.
OT Pearson Toomey, 6-3, 250, Jacksonville Beach, Fla.
OG Dan Dodd III, 6-4, 285, Keystone Heights, Fla.
DL Jack Barton, 6-4, 225, Alpharetta, Ga.
LB Josh Agbenou, 6-2, 227, Bethlehem, Ga.
LB/TE Bryce McCormick, 6-2, 218, Franklin, Tenn.
CB Kam Brinson, 5-10, 180, Augusta, Ga.
CB Cally Chizik, 5-9, 170, Auburn, Ala.
S Austin Jones, 5-11, 180, Tiger, Ga.
MACON, Ga. - Furman has found a pretty good way to win on its current road trip. It's called never falling behind. For the second consecutive game - and third time in the last four - the Paladins led from start to finish in a 74-63 win at Mercer Saturday. 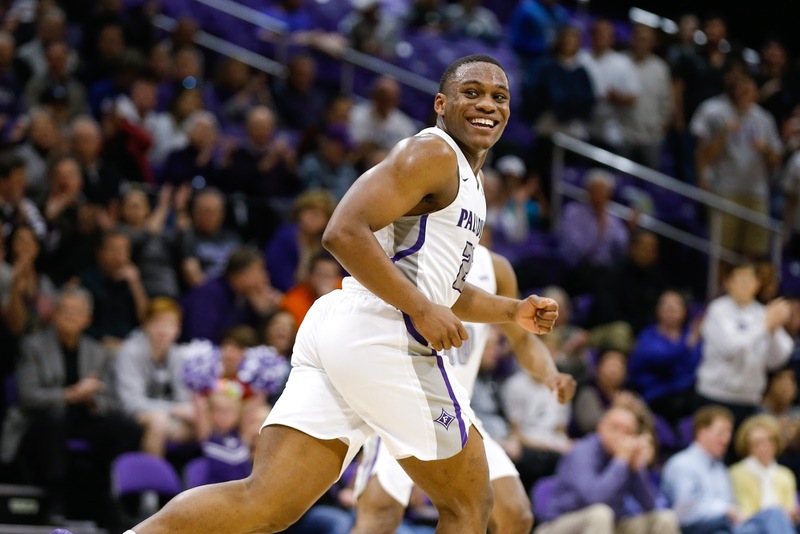 While the Bears attempted 24 more shots than Furman (18-5, 7-4 Southern Conference), they had two fewer makes as the Paladins shot a season-high 58.3 percent from the floor. That hot day of shooting included a 12-for-24 showing on 3-pointers. Jordan Lyons led the way as he scored a game-high 24 points. Playing before plenty of family and friends from his hometown of Peachtree City, Ga., Lyons also had four assists and two steals. "I thought we came out and had great defensive intensity for the most part the whole game. We stayed connected," Furman coach Bob Richey said. "Obviously, we gave up 20 offensive rebounds but they only got 13 points from those. I think that shows that we were able to stay in the play. We didn't get down. We just kept flowing and flying. When we do that, usually good things happen. "I'm so proud of Jordan. He just goes out and plays the game the right way with the right spirit and attitude and leads this group. He just lets the game come to him. ... He was complete. Tonight, it wasn't just hitting 3s. It was driving to the basket, kicking out for open shots, playing defense and talking as a leader." After recording 19 assists in Thursday's win at The Citadel, Furman posted 16 on Saturday. "We're back on offense. We'd gotten away from it a little bit and that's my fault," Richey said. "That's just who we are and who we have to be - cutting, moving and playing for each other. We got some wide open 3s. That's back-to-back games where our pass count has been really high and I just love the fact that they're trusting in it." As is most often the case in a Paladin win, much of the teams success was spurred by defense. After holding Mercer to 36.2 percent shooting - including 4-of-19 on 3-pointers - in a 71-58 win in Greenville last month, Furman held the Bears to 34.8 percent shooting - including 5-of-24 on 3-pointers - Saturday. That defensive effort was highlighted in the second half by the Paladins' play on Mercer leading scorer Ross Cummings. After scoring 14 of Mercer's 27 points in the opening half, Cummings had just two points on 1-of-5 shooting in the second half. Cummings, who entered Saturday shooting 42.8 percent on 3s, was 3-of-10 from beyond the arc. The Bears (8-14, 3-8) were just 1-for-11 on 3-pointers in the second half. "I think in both games (at Citadel Thursday and Saturday), we did a great job of buying in defensively. That fuels us on both ends of the court," Lyons said. "Cummings is a really good player. Once he gets going, he can be a problem. We just increased our focus on him (in the second half) and were more aware of where he was. "The thing about guarding a prolific scorer like him is it's never just a 1-on-1 matchup. It's a whole team collective effort guarding. ... I think the way all five of us defended him in the second half was a big contributor to how we were able to extend the lead." While Furman never trailed Saturday, Mercer did cut the lead to 48-45 with 12:17 left. A Lyons layup followed by a Matt Rafferty steal which led to another Lyons' layup started an 18-4 run. Noah Gurley and Rafferty had layups before Andrew Brown's 3-pointer gave the Paladins a 59-49 lead with 8:02 left and they enjoyed a double-digit lead the rest of the way. While Citadel double- and triple-teams limited Rafferty's scoring chances on Thursday, Mercer's defense and some pretty atrocious fouls did so on Saturday. Rafferty played a season-low (against Div. I competition) 27 minutes and was 3-for-3 from the floor, but still finished with 12 points, eight rebounds, four assists and two blocks. Just as they did on Thursday, other Paladins stepped up in the scoring column. Clay Mounce was 6-of-8 from the floor, including 4-of-5 on 3-pointers, to finish with 16 points, while Noah Gurley and Andrew Brown had nine and eight points, respectively. Rafferty, Mounce and Alex Hunter all finished with four fouls. That's just the second time this season that Furman had three players with at least four fouls in SoCon play, with the other coming at UNCG. "If people want to try to shut (Rafferty) out, we're going to have a lot of open shooters out there. There's a lot of good players in this league, but he's the best passer in this league. I know that much," Richey said. "So that's all the more reason to throw it to him. He's going to make all the right reads on the advantage and we're going to shoot wide-open shots." When Rafferty went the to bench on his second foul with 4:36 left in the first half, Mercer cut a 31-16 deficit down to 34-27 at the half. When Rafferty checked out on his fourth foul with 7:38 left in the game, it was a different story. Furman's 10-point lead grew to 14 in Rafferty's absence thanks to a layup by Mounce and a jumper by Lyons. When Rafferty checked back in a little more than two minutes later, he assisted on a Lyons' 3-pointer on the next possession as Furman took its biggest lead at 66-49. Furman will wrap up the three-game road trip Thursday at Western Carolina at 7:30 p.m.
CHARLESTON - After Furman's Matt Rafferty dominated The Citadel with 28 points and 12 rebounds in the Paladins' 101-85 win in Greenville earlier this season, the Bulldogs were bound and determined to make others try to beat them in Thursday's rematch at McAlister Field House. As Citadel coach Duggar Baucom told the Charleston Post and Courier, "the operation was a success, but the patient died." While the Bulldogs held Rafferty to a season-low eight points, Furman held them 29 points below their scoring average in the Paladins' 71-61 win. It's the second-lowest output for Citadel this season, and their lowest scoring output at home since a 67-51 loss to ETSU on Feb. 18, 2016. After blowing a 17-point second-half lead in an overtime loss at Citadel last season and blowing a 10-point lead with less than four minutes to play in a home loss to Samford last time out this season, Thursday's win was a big one mentally for Furman (17-5, 6-4 Southern Conference). The Paladins forced 19 turnovers and had 19 assists on their 25 made baskets. "Our mentality had to be ... what happened Saturday isn't going to affect what happens tonight. We had to do a better job of helping each other have success - defensively and offensively," Furman coach Bob Richey said. "We had a season-high with over 300 passes tonight. The ball movement was much more crisp tonight. "We had our most wide-open looks of the year. I was giving them a hard time (postgame), telling them that's why we missed a few of them - we were too wide open." Outside of one tie midway through the first half, Furman led from start to finish. While the Paladins led 34-29 at the half, it felt like Furman should've had a much bigger lead. The Paladins led by 12 with less than five minutes to go in the first half before Citadel whittled it down. Despite forcing 12 turnovers in the first half, Furman had just four points off them. Meanwhile, Citadel had 12 points off of the Paladins' six turnovers in the first half. It took just over five minutes of the second half for Furman to push that five-point lead to 19. After Rafferty's first points of the night on a layup at the 17:03 mark, Furman got consecutive 3-pointers by Jordan Lyons, Alex Hunter and Clay Mounce to cap a 13-0 run and take a 50-31 lead. Citadel got the lead down to 67-61 with 3:31 left and got the ball back before Jordan Lyons came up with a steal, which led to a Rafferty layup with 2:08 left. Rafferty then grabbed a big rebound off a missed 3-pointer by Citadel. That led to a Lyons' layup with 1:26 left to wrap up the game's scoring. Furman made 12 of its 15 two-point field goal attempts. "We did what we needed to do. ... I thought we did a good job being strong with the ball, not turning it over and handling the press," Richey said. "We had some guys that made some big plays. Alex, Jordan and Clay all hit huge 3s. Defensively, Jordan's deflection (prior to Rafferty's late layup) was a monster and Matt had a couple of huge deflections. "I can't think of a single guy who didn't impact that game tonight for us." Citadel entered with the second-most 3-point attempts in the country, but Furman fired up twice as many as the Bulldogs did Thursday. While the Paladins didn't exactly shoot the lights out from beyond the arc at 32.5 percent (13-of-40), it was better than the Citadel's 26.3 percent (5-of-19) showing. That marked the fewest made 3-pointers for the Bulldogs in a game since last season and their fewest attempts in three years. Citadel's Matt Frierson, who's second in the country with an average of 4.15 3-pointers per game, was held scorless Thursday on 0-of-2 shooting on 3s. In the teams' first meeting, he had three points on 1-of-5 3-pointers. Lyons scored a game-high 20 points to lead Furman, while Hunter and Mounce each scored 17. Mounce had six rebounds and five assists, while Hunter had five assists and no turnovers in 35 minutes against Citadel's full-court press defense. Hunter was a huge key early for Furman. Of the Paladins first 10 made field goals, Hunter had four - including three 3-pointers - and assisted on four others. "I was looking to attack and create for my teammates, but they were finding me. I was feeling good, got in a groove early and it just carried on throughout the night," Hunter said. "Coach was calling out the press breakers in the offensive sets and we just had to execute. It proved to work"
While he only had eight points, Rafferty still made life difficult for the Bulldogs. He had 10 rebounds, four assists, three steals and helped force Citadel standout post player Zane Najdawi to commit eight turnovers. Najdawi had no more than four turnovers in any other game this season. "Their whole game plan was to take Matt completely out of the game and make everybody else beat them. ... He didn't score (in the first half), but he kept his composure. He didn't worry about himself," Richey said. "He gets a handful of steals and assists, still gets double-digit rebounds and makes some big-time plays late. He's just a winner." Lew Stallworth had 19 points, including 15 in the second half, six rebounds and five assists to lead the Bulldogs (10-11, 2-8). Najdawi had 14 points and nine rebounds and Kaiden Rice scored 13 off the bench also for Citadel.